Whether you are buying or selling property in today's challenging real estate market, it is important to have a Realtor who is experienced, knowledgeable and committed to helping you reach your real estate goals. 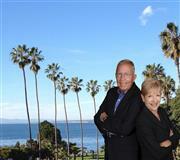 Together, we have over 35 years of real estate experience in the La Jolla and University City area, as well as other parts of San Diego. We take great pride in our reputation for service to our clients and over the years have developed a referral network of many satisfied and repeat customers. Our commitment to you , as professional Realtors, is to provide you with the specialized knowledge, expertise and personalized service necessary to help you successfully complete your transactions and to make your real estate experience a positive one. David has a long family history of local real estate, having been in the real estate business for many years with his father, Hugh, who started Creighton Realty in La Jolla in 1958. He continues the tradition, working as an Associate Broker for RE/MAX Associates in La Jolla, where he also serves as the Vice President of the La Jolla Real Estate Brokers Association. He specializes in luxury residential sales and exchanges, and is a member of the Institute for Luxury Home Marketing.OVer 30 years of experience have resulted in real expertise and knowledge that will ensure your success in your next real estate transaction. Highly respected, David has a reputation for honesty and integrity throughout the community, and serves in various capacities in professional, volunteer and church organizations. He has built his real estate business on referrals from satisfied clients over the years and knows that his success in Real Estate is a direct result of the price he takes in his personal relationships with his clients. Melody has worked in the design industry in San Diego for over 25 years and brings her expertise and experience to the Creighton Real Estate Team by providing clients with practical insight into the buying and selling process. From design tips to staging techniques she helps sellers to maximize what they have in order to obtain top dollar in the real estate market. For buyers, she helps them to see the value of "what could be" when assessing potential properties. Specializing in residential sales, Melody places her greatest emphasis on personal service to her clients. Having an agent who understands the complexities of the market and at the same time has empathy for the client is very important. "I appreciate how stressful it can be to navigate the ins and outs of a real estate transaction.I take the time to fully educate my clients throughout the sales process and keep the lines of communication open so that they always feel well informed and confident in their decisions." Why not take advantage of the professional skills and knowledge that both members of Team Creighton bring to the table that will give you a real world advantage in getting your real estate needs accomplished with the best financial result to you.